Naot of Kew is the only store Australia-wide which carries the Naot brand exclusively. We are a ‘Naot-only’ stockist! Our customers benefit from having access to the widest NAOT range and choice of colours available, both in-store and on-line. Naot of Kew was established in 2005 and later moved to a new and vibrant location at 200 High Street Kew, Melbourne, Victoria. Our stylishly renovated premises allow us to give our customers access to the widest Naot range, including choice of colors, for both men and women. 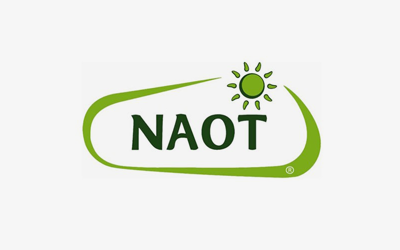 Customers can also purchase other Naot products including replacement innersoles, natural Bamboo socks and the luxurious hypo-allergenic foot cream. In keeping with offering customers the best in shoe care and maintenance products, Naot of Kew also carries an excellent selection of both the Collonil shoe care range and the Pedag range of “over the counter” orthotic foot supports and inserts. Collonil is a recognized German product of 100 years experience. Pedag hand crafted goods are also manufactured in Germany. Both companies supply high end products which are the result of expertise and knowledge. Naot of Kew also provides on-the-spot shoe adjustments to ensure orthotics fit perfectly in a new pair of shoes. We can also do minor repairs to maintain Naot shoes when necessary. As a ‘Naot-only’ stockist, our staff are highly knowledgeable about the Naot brand and range on offer. They are, therefore, able to support you in choosing the best shoe for your needs. Feel free to visit us or phone us with any queries to help you in your decision.